Thank you for your friendship and custom throughout 2012, hasn't it gone fast?! The economic (and environmental...) climates have been tough on many people, we understand, and we are thankful for your coninued support. Whatever your plans for the summer, we wish you all the best. ARE YOU LOOKING FOR GIFTS, BUT HATE SHOPPING? 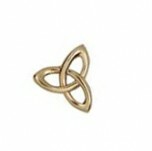 Please remember Celtic Connexions when you are looking for meaningful and affordable gifts. We have a beautiful range of jewellery in-stock and plenty of gift ideas to choose from. You don't even have to leave your house! That is a huge plus if you are like me and really don't like busy shopping centres! Visit the Celtic Connexions Trade Me store for bargains galore! This attractive Pride of New Zealand tartan scarf was made in NZ. We only have three left and we are not able to order more, so be in quick! Follow this link to our website for more information and purchasing options. This bronze-finished plaque was made by the Irish Celtic Art Studio. We have several items from their range in stock, which you can view on Trade Me. The Claddagh symbol represents love, unity and loyalty - a very popular choice for our Irish friends. We think these plaques make very attractive wall hangings, both because of the sentiments they express and the eye-catching bronze designs. WAIPU HOGMANY - WELCOME IN THE NEW YEAR! Evening: chaotic Ceilidh time! Live music! Dance callers! Contact Steve Goldthorpe ph 09 432 0532 to book a camping space $10 per person per night. It has been far too long since I attended a hogmany! If you haven't made plans for New Year's eve, find a hogmany. They are good fun. Please do contact Bob or Steven if you have any questions on 0800 HAGGIS. All the best from the team at Celtic Connexions.